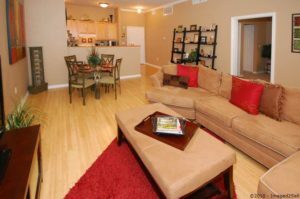 Dallas TX Condos For Sale – Uptown living–easy walk to Katy Trail, dining and the nightlife of McKinney Ave, Victory Park, and downtown. Open plan offers wood floors, Berber carpet, ceramic tile, high ceilings, lots of windows, large master and walk-in closet. Amenities include lap pool, fitness center, underground parking, 24hr concierge, and guarded access. Recent HVAC and water heater. Fresh carpet and paint.